Readers might recall that sometime ago, we made a special announcement over both Radio Sai and in Heart2Heart, entitled Truth Always Triumphs. At that time, we promised we would give full details later. The time has come to do that. We hope you would take time off to study this article carefully, and encourage others whom you know to do so. Our main purpose in making this request is to enable you to appreciate how complex the Divine Drama is and how it always goes through ups and downs, all entirely by Divine design! In this context, it is well to remember that when the Anantapur Drinking Water Project was in progress, the Central Trust which was executing the Project, had to borrow money from banks, because it was short of cash. On the face of it, this might appear very strange. God is the source of all wealth; how come He has to borrow, when He comes down in human form? Surely, there must have been a reason. While Swami has not explicitly stated that, we believe that it is a signal that once one takes a step forward one must never go back. Instead, one must go ahead with full faith in oneself. In other words, we believe it was a Divine lesson in self-confidence. Obstacles, obstructions and oppositions there always will be even when one tries to do good. The Ramayana has many illustrations of that. But the same Ramayana also tells us that with purity any obstacle can be overcome. That is also the inner meaning of the folklore about Siva drinking the poison that emerged when the Devas and the Asuras churned the Cosmic Ocean looking for nectar. Now that it is all over, we request that you reflect deeply, even as you read some of this historical material, which necessarily is influenced by the sentiments of the times. However, in a historical context, we must leave aside the background of momentary passions and look objectively at how the drama started, how it evolved and how it concluded. Such reflections can give us much food for thought! Transcript of the broadcast made by Prof. G Venkataraman over Radio Sai, concerning the California case, its withdrawal, and related matters. Text of the statement issued by five prominent citizens of India, led by Mr. Atal Behari Vajpayee, then Prime Minister of India. Background to the adverse Media Advisory posted by the UNESCO, and an account of the actions taken from our side. Full text of the letter written from here subsequently to the Director, Bureau of Public Information, UNESCO. Also, links to related material in earlier issues. We have made every endeavour to maintain high standards, and hope we have succeeded. Loving Sai Ram and greetings from Prashanti Nilayam. I presume that by now you would have either heard our special announcement over Radio Sai or seen our special message sent via the Sai Inspires service, about how Truth Always Triumphs. I am referring to the case filed in a California Court based on false allegations against Swami that was subsequently withdrawn by the plaintiff ‘with prejudice’, meaning that the plaintiff cannot file that case again in any Court in America or in India. Today, I would like to offer some reflections on this event. I feel this “closure” is required because in a sense, we owe this to many who have repeatedly written to us expressing their deep concern about attacks on Swami, and asking us to do something about it. Before I start, I think I should say something about my own views on the matter. There are many who have always wondered why we are not responding when Swami is being tarnished. On the other hand, there is a small minority that has always felt: “Let the dogs bark. Why bother?” I take a slightly different view of the matter; my own feeling is that we here can neither remain completely aloof nor be continually belligerent and go on the counter offensive at the drop of a hat. We are of the opinion that depending on the circumstances, different responses are needed at different times, to suit the occasion. Let me begin with the general observation that both the good and bad that we see in this world are part of a ceaseless Cosmic Shadow Play. At the objective and Spiritual level, we certainly must be detached, recognising both good and evil as a part of this endless Divine Drama. Yet, at the worldly level, we simply cannot march ahead ignoring the background noise. We have a role to play, and play that role we must; only, we must take proper care to ensure that whatever we do is done properly, as God would want us to. In passing, I might add that we plan shortly, to offer additional perspective about all this in H2H. So maybe you should look out for that also. The Indian scriptures say that practically every Avatar has had enemies. I will not go into the details, but during every Incarnation there are enemies who challenge the Avatar in various ways. Sometimes, they even attack physically. Apparently, the enemies symbolise the evil on earth, and a struggle between the good and the evil is needed from time to time to establish the Eternal Truth that in the end, Good always triumphs over Evil. In the Krishna Avatar, for example, there was a demon called Jarasanda who repeatedly attacked Mathura, the city that was the capital of Krishna’s kingdom at that time. In fact, to protect His people, Krishna moved from Mathura to Dwaraka. Krishna was God Almighty in human form. He commanded all the Powers of God. If you recall, He revealed Himself as the Supreme Lord to Arjuna in the battlefield. And yet, why is it that the same Krishna did not dispose of Jarasanda, which He surely could have done in a jiffy? Well, those are the mystifying aspects of the Avatar! Such aspects are present in every Avatar. By the way, to complete this story, it was finally left to the hefty Pandava Bhima, to tear Jarasanda to pieces, literally. Not many realise that attacks on Swami have always been there, almost from the time Swami declared His Avatarhood. If you read the accounts of people who used to travel to Puttaparthi in the good old days, they always tell us how the locals were quite hostile to Swami. For them, a little boy who used to be one of them simply could not be God. How on earth was that possible, they asked. But that phase soon passed off, and now we see how that very same Swami is being venerated by the people of those very same villages, who were once so hostile to Him. Later, came Vedic scholars who scoffed at Swami. How could this young man who never spent even a single day in Veda Patashala [Vedic school] know anything about the Vedas, they asked. But soon they realised that this was no ordinary young man but the One who was the very form of the Vedas, or Veda Pursusha, as He is known in ancient Indian scriptures. The rationalists made a lot of noise but the world soon got tired of them. However, some serious intellectuals like Murphet, Hislop, and Sandweiss came with open minds and realised that Swami was the Embodiment of Pure Consciousness. In mentioning all these names, I must not forget Rusi Karanjia, a self-declared atheist and Marxist, who published from Bombay, the then highly-popular weekly BLITZ. When his journalistic credentials were challenged, Karanjia came to Puttaparthi and Swami graciously granted him many interviews. The journalist that he was, Karanjia asked many probing questions and Swami answered them all, patiently. Karanjia had to admit that he was mistaken and he wrote a book not only retracting all his earlier biased and critical opinions, but went so far as to describe Swami as the living God walking on earth! By the way, to my knowledge, with the exception of Karanjia, Swami has never granted interviews to pressmen in this fashion. In the same way, Avatars need enemies so that people understand better the difference between Good and Evil. In short, the appearance of villains in the Lord’s Story is preordained, and we need not be overly surprised by it. Let me now focus on the more recent events, because the Court case I referred to earlier is connected with these. Starting from somewhere around the late-nineties, began what might be called the fourth anti-Sai wave. Thanks to the internet, this time, it was global. 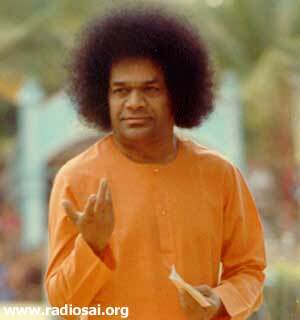 In the past, the targets of attack were Swami’s Divinity, His knowledge of the Vedas and His miracles. This time, the detractors went to the extent of questioning Swami’s purity and character itself. During this period, I was always quite busy with my work, and I therefore heard very little about the non-stop chatter in the gossip circles. From time to time, someone or the other would try to tell me something about this nonsense but I politely kept my distance since I neither had the time for this sort of thing, nor any patience to listen to falsehood. When the Times article appeared, I was shocked as were many others. Here was one of the leading newspapers of the world, and it was publishing negative material without even a casual inquiry about the accuracy of the content. Some of us wrote letters to the Editor, but, contrary to the usual practice of giving some space to those with differing opinions, none of these letters were published. So much for objectivity of the Press! The fact that the Times refused to extend media courtesy due to us did not mean the end of the matter. One could not simply remain silent when wild allegations were being made and atrocious aspersions were being cast in so-called responsible quarters. That was when our respected Mr. Indulal Shah took the initiative and met the then Prime Minister Mr. Atal Behari Vajpayee. As a result of this meeting, a statement was prepared that was later signed by Mr. Vajpayee, the Prime Minister, Justice Bhagavathi, former Chief Justice of India, Justice Ranganath Mishra, another former Chief Justice of India, Ms Najma Heptulla, President of the Inter-Parliamentary Union and UNDP Distinguished Human Development Ambassador, and Mr. Shivraj Patil, former Speaker of the Lok Sabha, former Minister and then a Member of Parliament. I think it is appropriate to show readers the statement signed by these distinguished people. We are deeply pained and anguished by the wild, reckless and concocted allegations made by certain vested interests and people against Bhagawan Sri Sathya Sai Baba. We would normally expect that responsible media would ascertain the true facts before printing such calumny – especially when the person is revered globally as an embodiment of love and selfless service to humanity. Since this professional ethic has not been observed by a section of the media, we have decided to go public with this signed statement. We are among the several million people in the world who regard Sri Sathya Sai Baba as a great spiritual master and teacher. We come from different nationalities and religions and greatly admire the fact that Sathya Sai Baba asks us to become a true follower of our chosen path. His is a message of truth, right conduct, love, peace and non-violence. He always emphasizes that these universal human values belong to all faiths and religious traditions. 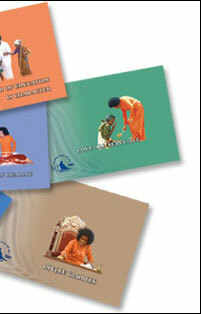 Sri Sathya Sai Baba leads by example. He devotes all his time and energy for the well-being of Society. People from all walks of life, and from all parts of the world, visit him in Prashanti Nilayam [Andhra Pradesh, India]. He meets them and showers his love and blessings on all those who seek him. He has been the sole inspiration behind some of the most monumental public service projects in recent times. He has set up schools, colleges and universities where finest quality man-making education is imparted to all, at no cost. His educational programme of universal human values is being used by thousands of educational institutions all over the world. He has set up hospitals where complex surgical interventions are performed every day, without any cost to the patients. 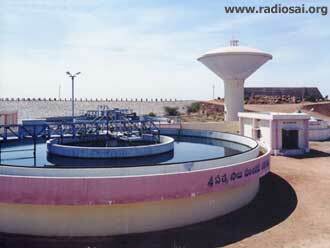 He has set up a mammoth clean drinking water network in drought-prone areas. Indeed, the list of activities and projects inspired by him continues to grow, with new projects being undertaken in all parts of the world. May God give good sense to all who create these scurrilous stories and wisdom to all others who pay any heed to them. 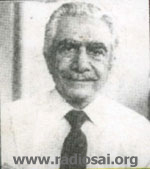 Mr. Shah made sure that the letter was seen by the top leaders of Europe, including the then Prime Minister of Britain. Where the media advisory of the UNESCO was concerned, we took a different approach. The UNESCO is a part of the United Nations and India is in fact one of the founder members of the UN – it was a signatory to the original declaration, way back in 1944. We in Prashanti Nilayam took up the matter with the Government of India through suitable channels, and for its part, the Government, through its Ambassador in Paris, protested to the UNESCO. I shall not go into the details here but merely say that the Indian Government took strong exception to the UNESCO posting a hostile media advisory, merely on the basis of hearsay, thereby maligning Sai Baba, who is a revered figure in India and has done enormous good to Indian Society. This strong protest worked and the UNESCO backtracked. This retraction by UNESCO was a big set back for the anti-Sai group but they now attacked from another angle, namely television. As you well know, most TV channels have sunk to depressingly low levels. It was no surprise therefore that some channels in some countries seized the opportunity to come out with negative programs on Swami. Given the scepticism of many in the West about Gurus, such a program naturally commanded an audience, though not among viewers with discrimination. Hence, though we received complaints from many overseas devotees, we did not bother too much. It was not worth getting into arguments with third-rate TV channels. 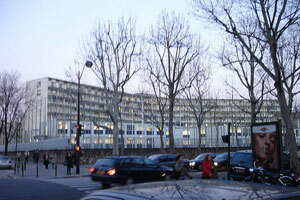 Full Text Of The Letter Written From Here To The Director, Bureau of Public Information, UNESCO. Things went into a different gear altogether when the BBC came out with an anti-Swami film. This was absolutely shocking because like the London Times, the BBC is an icon - in the broadcasting world that is. And yet, for reasons best known to it, the BBC produced a program that was not only poorly researched but also deplorably low in taste, quite in contrast to what it is known for. Central to BBC’s vilification campaign was one Alaya Rahm. I have to mention the name of Alaya Rahm because he is the one who filed a case on January 6th, 2006, in the Superior Court of California, Orange County. It was a lawsuit in which the plaintiff sued for money damages. The Court set the case for trial April 28, 2006. 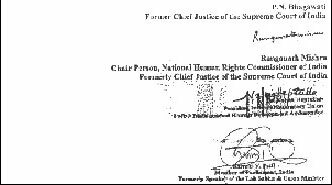 At this point, I shall quote, with permission of course, from a letter we have received from Brother Robert Baskin of California, who is himself a lawyer. He has full knowledge of this case and I think it is best to quote from his report since it would be factually and legally the most accurate account we can present. This is what Baskin says concerning what happened to this lawsuit. “Although Alaya Rahm’s accusations received some publicity before he filed his lawsuit, his claims were not thoroughly investigated until after the lawsuit was filed. The legal proceeding provided a forum in which his claims could be thoroughly and critically examined. Through this process of investigation, it was discovered that the plaintiff and his family had spoken at a number of retreats and conferences between 1995 and 1999, during the time that the events were alleged to have occurred. Inconsistent with his later accusations, these conference talks, many of which were recorded and have been transcribed, contain no suggestion of any wrongdoing and the earlier words spoken by the plaintiff would appear to refute his later accusations. Through the process of discovery during the handling of the lawsuit, witnesses were identified and interviewed who were present in the Ashram in India when the events were alleged to have occurred which formed the basis of the plaintiff’s lawsuit. One of these witnesses brought the plaintiff to India in 1995, accompanied the plaintiff to India in 1997, and was present for some of the alleged interviews. The deposition of this witness was taken as a process of discovery in this lawsuit. The witness testified that he had a close and confidential relationship with Alaya Rahm from 1995 to 1997, spoke with the plaintiff on a daily basis when he was in the ashram in 1995 and 1997, discussed the details of each of the plaintiff’s interviews during that period and that Alaya Rahm never suggested during this period of time that any misconduct or wrongdoing had occurred. The deposition of the witness was taken in March 2006. Alaya Rahm dismissed his case after the deposition was taken. I must at this point, express my deep and personal thanks to Brother Baskin for that succinct account. This is the transcription of a small part of an interview with Sri Gopal Indreshwar, a former Sai student and the grandson of the Rajmata (Queen Mother) of Nawanagar. See the end of the article for the audio download and background. "...There’s something else which comes into my mind and it’s kind of indelibly seared in my heart as it would be with the rest of thirty of us. This was in my - I think I was in my twelfth standard if I am not mistaken. It was the evening time and we were part of the gymnastic group and we were toiling away at the horizontal bars which had been installed for the first time. It was a very difficult thing - most of the times before we were working with ground exercises and that was easy. Here you had a solid metallic bar which gave you a souvenir of blisters on your fingers every evening. And you healed it every night to rip it open the next day again as you are practicing. It was one of those golden moments that in the evening as we were toiling away, Swami drove past. He came into the stadium. He was not at all expected over there. And when Swami came in, He stopped and watched the boys do a few things. And Swami was very keen about so many small things - right from the fact that He wanted all the boys to be armed with a langot - to the fact as to how we were doing the warm-up and how we should do the cooling exercises. And there afterwards from the exercise, he went on to the fact as to how you should be building your muscles. At that point of time, one of our boys, Sathya Prasad, a smile escaped his lips because he was a kind of a Tarzan; fit with a sculpted body. And there was Swami - a frail figure, whom everyone has known to have talked about spirituality - delivering a sermon on how to build muscles! So it just didn’t sound a bell over there; didn’t click. And a smile escaped his lips and nothing escapes Swami’s eye. And Swami saw that and He said: “You think, I don’t know about exercise?” And most of us thought the same thing. Of course nobody spoke. Well, Swami started talking about exercising which was of the mala-kushti days – that is probably more up in tune with Krishna’s times - where the dumb-bell goes around the head. Most of us were not aware of that system. Then what Swami did - He told Sathya: “Strength doesn’t come from muscles.” That was quite a revelation which threw everybody off their feet. Swami is saying it, so it is! Then He told Sathya: “How strong are you?” This was absolutely wonderful because a student got a chance probably for the first time in history to get into a combat with Swami. And this was lovely! Because there you had on the gymnastic bench; a very rustic setting, a student on one side; Swami on the other side locked in battle - it was arm wrestling - locked in a grip over there. Sathya trying to be too careful so as to not try and hurt Swami’s delicate hand. He was just making a show out of it but enjoying the fact - any excuse to catch the Divine Hand – if fighting Him has to be it, so be it! You catch hold of the Lord! So there he was, catching hold of Swami and everybody slightly envious of him you know, hoping we wish we could be in that position. And then suddenly you saw Sathya’s face distort a little his jaw muscles tightening; his every nerve in sinew tightening as He was actually battling Swami! And Swami’s face had a benign smile; there was no pressure on Swami whatsoever! You could see Sathya going; you could see his jugular pumping out; his muscles becoming taut - Swami was relaxed - his fist started shaking over there. So, that was a great lesson!" I do not know what you think about it, but as far as I am concerned, this case withdrawal by Alaya Rahm, before the suit came up for formal hearing before a Judge, knocks the bottom out of all the allegations that have been circulated during the last several years. And please remember that Rahm would not have dismissed his own case, if he thought he had a chance of winning. The fact is he had no case, none at all, at any time. For years, Alaya Rahm got away with wild allegations, and the BBC made much of it. Why? Because they were never put to the legal test. Emboldened by the apparent wide acceptance of his claims in the West, Rahm then thought he could seek damages and filed a lawsuit. But his attempt has backfired and the chief accuser has realised that. Quietly, he has withdrawn the case. 1. Objectively speaking, one ought not to be surprised at the mudslinging that has been going on recently. As already pointed out, for devotees, anti-Swami campaigns are really not news. What is new is the type of accusations made this time. The fact that they received wide circulation merely testifies to the prevailing low standards in the Media. These days, people in the Media openly say that scams, scandals, sleaze and controversy alone make news, nothing else. Increasingly, even newspapers and TV channels that once prided themselves on high standards are being driven to gimmicks that would attract attention and “improve” ratings. 3. It is a part of the Divine Drama that the good often have to suffer. In the case of Jesus, though Divine, he was crucified. 4. In earlier eras when Swami incarnated as Rama and Krishna, He had enemies and detractors. It was so in Shirdi also. It could not be different this time, for it is the same world that the Lord has made His appearance in. 5. When Avatars come, they weave a subtle web around them. This web is a test for humans. Some by the Grace of God, manage to see through the web and recognise Divinity beyond. They are the ones who are redeemed. Others get deceived, fail to see the Divine hiding in the human form, and flunk the test. They have to wait a long, long time before they come closer to God. By the way, the web I am talking about is the cloud of suspicion raised by the detractors. In that sense, the detractors play their own role as instruments! Not knowing My transcendental nature as the Sovereign Lord of the Universe, fools slight Me when I incarnate in diminutive human form. But the great ones, O Partha (Arjuna), guided by their Divine nature and knowing Me as the Imperishable Source of all beings, worship Me with their minds always fixed on Me. 7. Continuing with the theme of Avatars and their enemies, Rama needed a Ravana, so that He could, in the name of going after Ravana, confer Grace on so many Rishis who played host to Him in the forest, give Sugriva the opportunity to claim God as his friend, help old Sabari to realise her dream, enable Jatayu to make the supreme sacrifice for the Lord, and so on. In other words, the Lord’s Drama is complex and we cannot visualise it in pure black and white terms. 8. Having said that, as in the Ramayana, each of us has been picked to play a certain role. Very few of us might be aware of it, but the fact of the matter is that no one is without a role in the Cosmic Drama. In the Ramayana, for example, we have the little squirrel. What can a squirrel contribute to building a mighty bridge? Yet, it too played a role, calling attention to the fact that God is not interested in quantity but quality. 9. In the same way, from a larger perspective, we too have a role to play, within bounds of course. When needed, we do have to counter untruth in manners appropriate. However, while contesting falsehood, setting the record straight and so forth, we must NOT allow any room for hate and anger. 10. I have found that many a time, when Swami denies access or pulls up someone, some reform, some withdraw, while a small minority become offensive. At least in the case of two people who have been carrying on an e-mail campaign against Swami, I know that one fine day, Swami started ignoring them. Maybe that hurt these people too much, especially as they used to enjoy not merely good but enviable access and privileges. Summing up, I would like to make the following observations. Although noble men and even Avatars have been attacked throughout history in various ways, when the dust settles down, few remember the detractors. I mean, when people think of Christ, they only remember the ultimate sacrifice He made. How many can name those who harmed him? Next, I would like to recall what Swami said way back in 1963 after He miraculously pulled Himself out of an attack of paralysis. He said that in the brief period He suffered the stroke, many felt deep anguish. 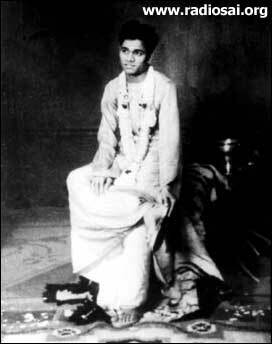 That, said Swami, brought many devotees closer to Him than they might have gained through normal processes in many lives. In the same way, even while some tried to paint Swami black, their action produced so much anguish in many, that that burst of Love probably brought all these suffering devotees much closer to God than they perhaps realise. To those who sometimes tell us, “ignore all this calumny”, I would like to make a special point. You see, our role here in the Prashanti Digital Studio necessarily has to be somewhat different from that of the ordinary devotee with no formal responsibilities. We are a media unit and we have specific tasks that we must perform. We definitely do not descend to the level of people who are mean in their outlook. Nor do we always take on directly the powerful, who exploit their reputation and peddle half truths and untruths. But disinformation cannot always be ignored; it has to be countered in suitable ways. Thus it is that Mr. Indulal Shah, requested Mr. Vajpayee and several distinguished citizens of this country to issue a Public Statement. While those who want to believe in falsehood might dismiss this, responsible people would definitely sit up and say: “Do we believe some unknown people making unsubstantiated charges or do we believe a man like Vajpayee who is a world statesman?” If we fail to contradict when responsible agencies peddle falsehood, we can be in all kinds of trouble. I don’t know how many of you are aware that even today, many TV channels, including in India, sometimes broadcast controversial material about Swami. 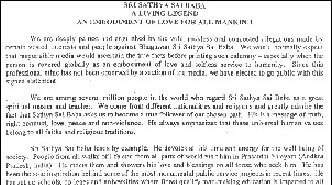 Some newspapers, likewise, try to downplay Swami’s enormous contributions. We just cannot sit back and say, “Oh, God does not need my intervention. He knows how to take care of things.” If there is anything I have learnt by watching closely, it is that we must be totally involved in anything that we do and not try to act like a recluse. However, while being intensely involved in our work, we must not carry malice, jealousy or hatred in our Heart. Swami Himself taught this lesson beautifully in the Ramayana. One day during the long battle between Rama and Ravana, Ravana fell out of the chariot. He was without his weapons. He was also very tired. 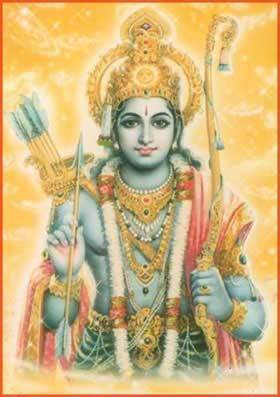 If Rama wanted, He could easily have finished Ravana in one stroke. He did not. Instead He said, “Ravana, go home now and come back tomorrow. We shall resume the battle then.” What does this teach us? It tells us that we must go about performing our worldly duty as we ought to; in this case, Rama’s duty was to punish Ravana for his misdeed. That was to be done by due process and without hatred, anger, a sense of revenge, and so forth. So, if in any way I have chosen to intervene at select points, it was only after careful deliberation about the course of action to be pursued. Allow me please, at this juncture, to point out something pertinent. I found it strange that when all this negative propaganda was going on, so many of our devotees were busy telling each other, “Do you know what they are saying?” and so on. Very few bothered to tell each other, or more important to the world, about the wonderful work Swami has done and is continuing to do. I hope you do not get angry with me for saying this, but spreading the good word is one effective way of countering bad odour. But few seem to know about what all Swami has done for the welfare of humanity. What is even more saddening is that not many are bothered about it; their concern is more about Swami’s travel plans, daily Prashanti gossip, etc. 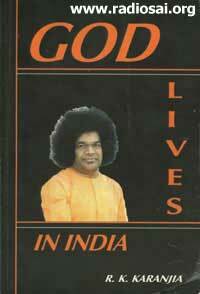 It is not as if information about Swami’s wonderful Missions is lacking. For example, at the time of the 80th Birthday, we brought out a comprehensive set of Souvenir Volumes, which, through priceless pictures, narrate the story of the Lord’s many Missions. 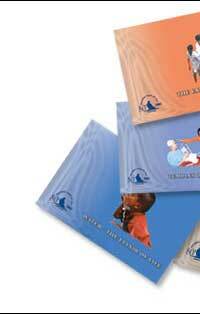 These volumes are being offered for less than the cost of production, and yet there are not many buyers. 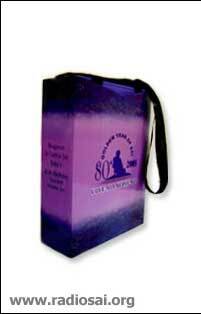 When I last checked, there were a large number of these Souvenir sets sitting in the Tustin Book Centre in America. We thought they would just fly away but there does not appear to be much interest. I asked Dr. Gadia of UK why young people there do not show interest. He was not able to give any explanation. But he agreed with me that it was very strange that when people could spend money on changing mobile phones every two years, their i-pods every three years, and their laptops every four years, they did not want to buy this treasure that was timeless and came to them at such a low cost. In India too the situation is depressing. Here in the Ashram I see devotees moving everywhere talking all the time on the cell phone. Sometimes, every member of the family is talking on the mobile. These people have enough money to buy not one but many phones. And yet, ask these people if they would like to buy a souvenir set, they would immediately grumble. This happens everywhere, including in places like Bombay that is loaded with money. People all over India, devotees’ kids included, do not bat an eyelid to buy the latest Harry Potter book, sometimes even standing in a long queue. People do not mind spending a lot of money to see the latest block-buster movie on the opening day. But when it comes to buying a souvenir that would be a treasure for all time to come, it is a different matter. I am not complaining but reflecting on the sad decline in values. When we who pride ourselves on being His great devotees are indifferent to knowing more about Swami, His acts of Compassion and His Message, when we unconsciously trivialise Him in many different ways, how can we complain when others malign Him? Do we at least know enough to counter and challenge these false allegations? Somehow, somewhere, we seem to be losing our perspective. If there was a greater awareness about Swami’s teachings and service, the news of that would spread faster – the more the people who know, the faster the news spreads. 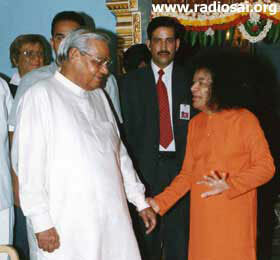 And if millions know about Swami’s greatness and Compassion, few would be swayed by negative propaganda. I hope I am not touching raw nerves, but I do feel we do not take Divinity seriously enough and often tend to trivialise it. God comes in human form not for us to trivialise but so that we may have easy access to Him via Darshan, opportunities for Sparshan and Sambhashan (being blessed by His touch and discourse). These represent extra-ordinary Grace, in return for which we are duty bound to express gratitude by telling the world in some manner or the other about the wonderful work being done non-stop by Swami. Finally, I would like to present you a hitherto unheard audio clip, a transcription of which appears in the box above. This audio clip would illustrate how the Avatar quietly uses His human form to give powerful Messages. 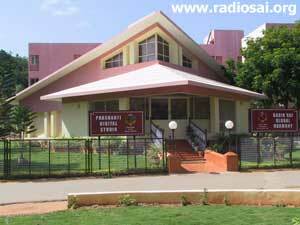 The clip is a recollection by an old student of Swami’s Institute. I shall first allow you to hear it and then end by making a few remarks about the memory. The name of the person whose voice you would be hearing is Gopal Indreshwar. He is the grandson of the Rajmata of Nawanagar, who during her life was incomparably devoted to Swami. This is what Indreshwar said in part, while speaking to us some months ago. Well, did you hear that? It was all about a small incident involving Swami and His students, but it tells us, the world and also posterity, that Swami is PURE, always. It does not matter if you don’t remember a single word of this talk. It is enough if you do not forget Indreshwar’s words. In the ultimate analysis, that is all that matters. Thank you. Jai Sai Ram.